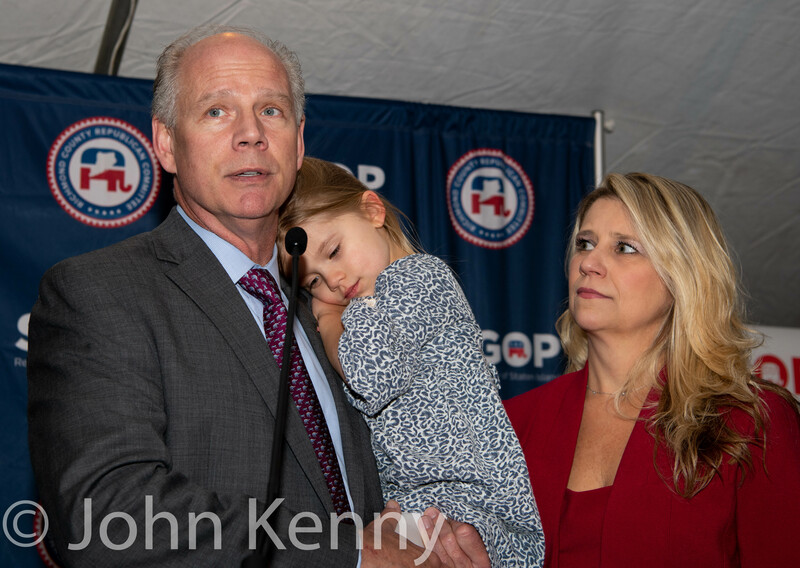 Staten Island Republicans celebration of several election victories was tempered by the loss of their congressional seat, as Rep. Dan Donovan was defeated by Max Rose. 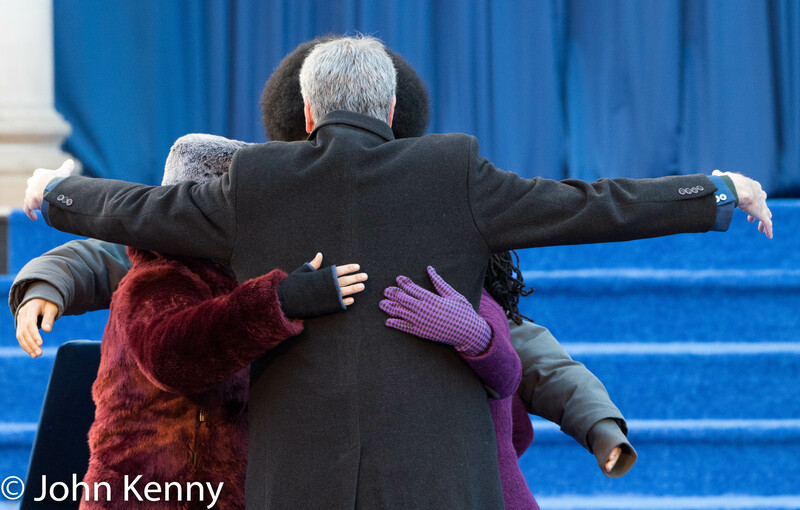 Donovan appeared onstage ahead of the other candidates, accompanied only by his family, to offer a concession to Rose. 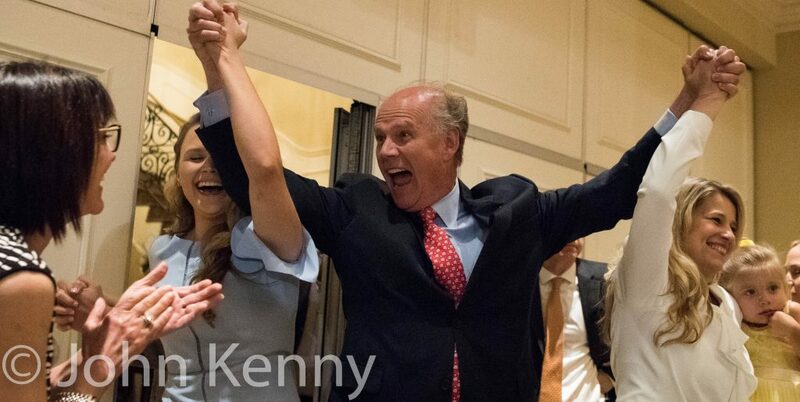 Republican Congressman Dan Donovan defeated predecessor and challenger Michael Grimm in a bitter GOP primary, trumping Grimm’s professed allegiance to Donald Trump and Trump-like personality with an endorsement from Trump. Donovan was first elected in a special election in 2015 prompted by Grimm’s resignation after pleading guilty to federal tax fraud charges and being sentenced to federal prison. Grimm returned seeking his old seat this year, in a Trump era battle in which the candidates sought to most closely align themselves with the president. 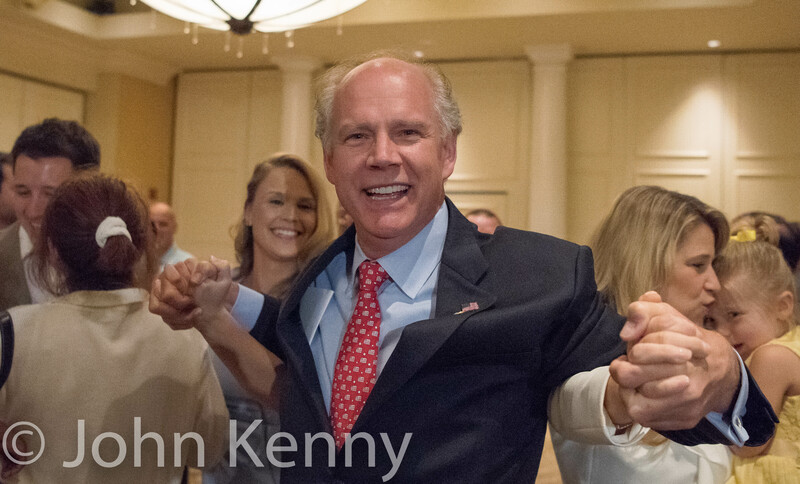 Rep. Dan Donovan kicked off his reelection campaign with a show of multi-party support Saturday. 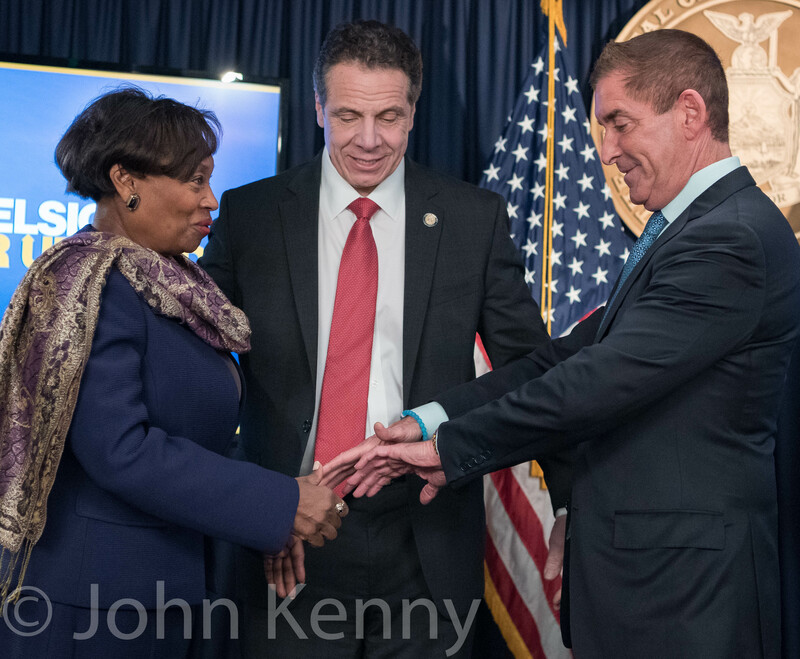 The Staten Island Republican hosted the state chairmen of the Republican and Conservative parties, the Staten Island chairman of the Reform Party and the Brooklyn chairman of the Conservative Party. (The Staten Island Republican chairman did not attend, but sent a message that he was home with the flu.) Rep. Peter King, NYS Senator Marty Golden, NYS Assembly Member Nicole Malliotakis, NYC Council Member Joe Borelli and former Rep. Vito Fossella attended and spoke at the rally. Staten Island Borough President Jimmy Oddo and NYC Council Member Steve Matteo did not attend, but sent messages of support. Republican mayoral candidate Nicole Malliotakis had little to say about fellow Staten Island Republican Michael Grimm’s return to politics Sunday. Speaking just before marching in the Pulaski Day Parade, Malliotakis offered that “I’m focused on my own election which is five weeks away” when asked for any reaction or expression of support for either Grimm or incumbent Congressman Dan Donovan. Grimm is a former congressman who resigned in 2014 after pleading guilty to federal tax fraud. He held a Staten Island rally Sunday to declare his intention to seek election to his former congressional seat. 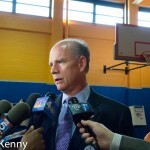 The current congressman, Dan Donovan, was elected in a 2015 special election. 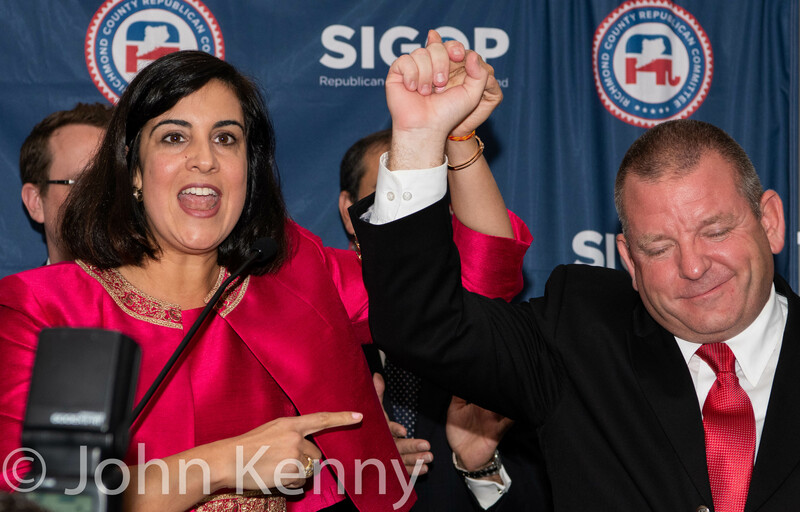 Malliotakis, a member of the New York State Assembly, had sought the Republican nomination in that election but party leaders selected Donovan. (Party nominees are selected by party leaders, not via a primary, in such special elections.) There is speculation in Staten Island political circles that Malliotakis may be interested in running for this congressional seat, should she not win her current mayoral race. 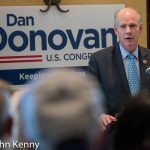 11th Congressional District voters chose Republican/Conservative/Independence candidate Dan Donovan in Tuesdays’s special election. Will Congressman Donovan remain the “nice guy” that many of his voters chose or adopt the Tea Party Zeitgeist of his new colleagues? 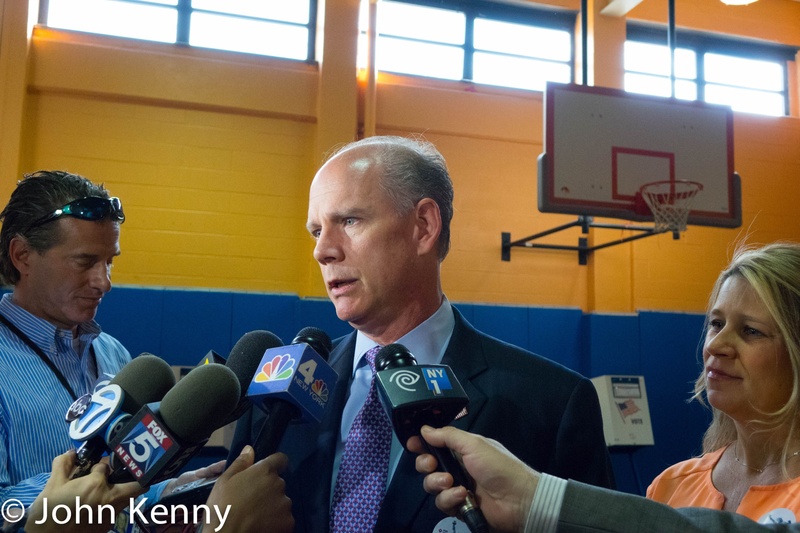 Donovan’s been in politics for 20 years, running and winning three elections for Staten Island District Attorney. He’s well known on Staten Island, especially to Republican voters who generally like him and regard him as a nice guy. 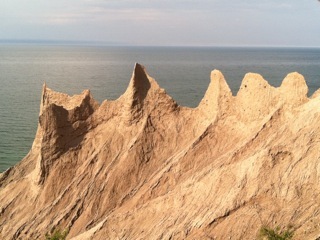 I saw that view frequently in covering the campaign. In one instance, as I waited for a Donovan campaign appearance outside of a Staten Island grocery store, a 40-something woman headed to her car asked why I was there, cameras at the ready. Told that Donovan was expected shortly she paused and said “he knew my father. He came to my father’s wake, he’s really nice” before closing her car door and driving away. 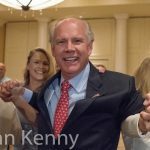 Republican congressional candidate Dan Donovan frequently mentions the impending birth of first child, due in about two weeks. Today he revealed a possible name, as well as a Staten Island-centric fact about his own birth. 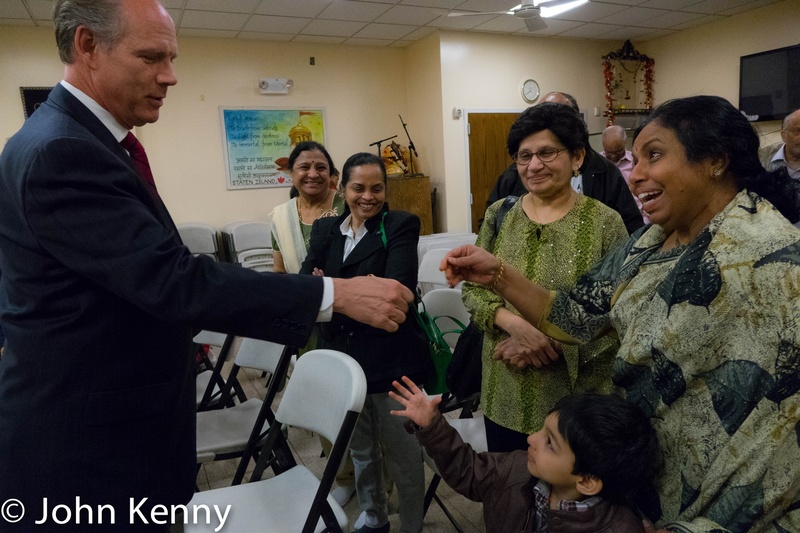 Republican congressional candidate Dan Donovan is near the end of his third term as Staten Island District. 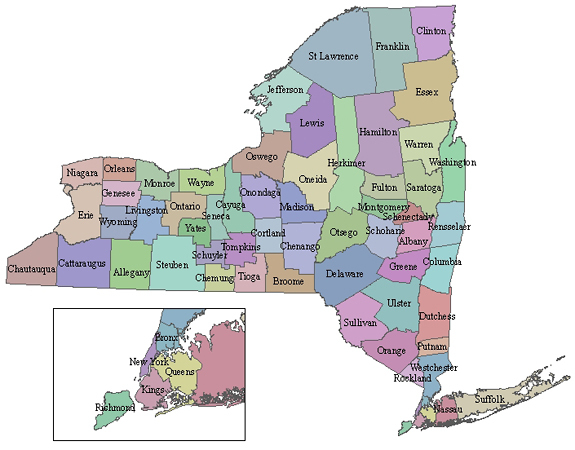 He also worked as assistant district attorney in the Manhattan District Attorney’s office. We spoke briefly today about why he went to law school and how he became a prosecutor. 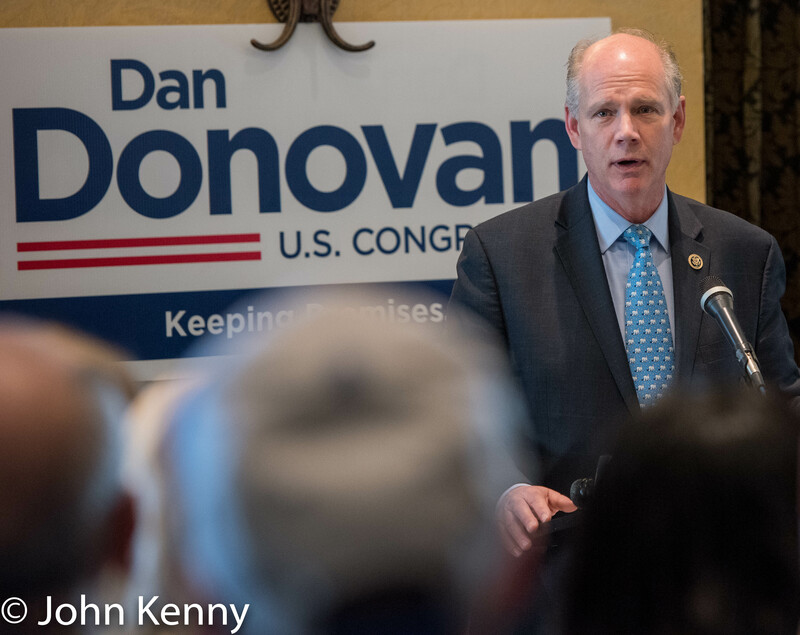 Republican candidate and three term Staten Island District Attorney Dan Donovan today described his three general election campaigns as similar to this congressional special election. Donovan’s point was based on the calendar: his DA races have been in off-years (2003, 2007 and 2011) when there have been no other races to draw voters’ attention or induce them to vote. We spoke as he knocked on doors in Dyker Heights today. 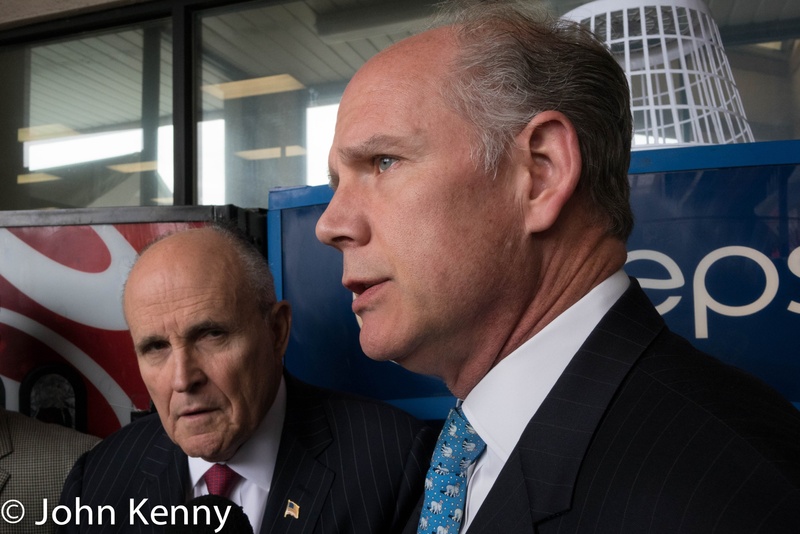 We asked Republican congressional candidate and Staten Island District Attorney Dan Donovan about the reported arrest of New York State Senate Temporary President & Republican Majority Leader Dean Skelos and what it says about the party or state government. We spoke as Donovan campaigned outside a Staten Island grocery store. 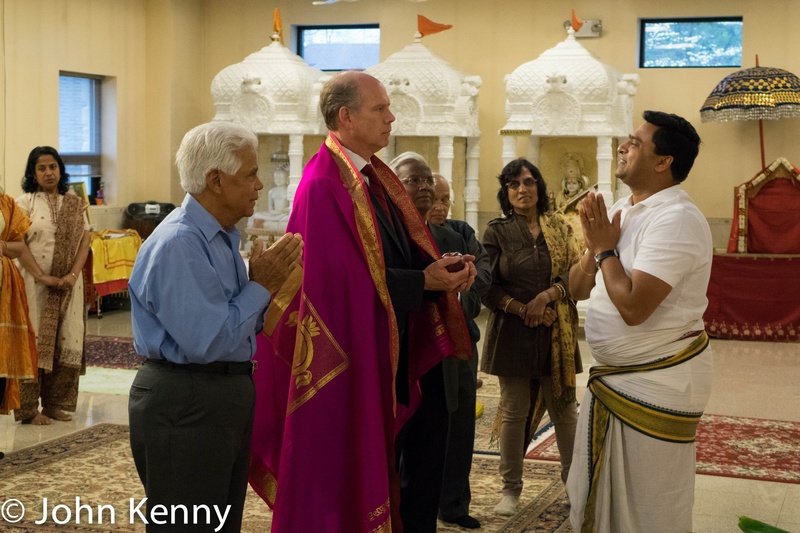 It was a mix of colorful pageantry and practical politics as Dan Donovan visited the Staten Island Hindu Temple Friday evening. 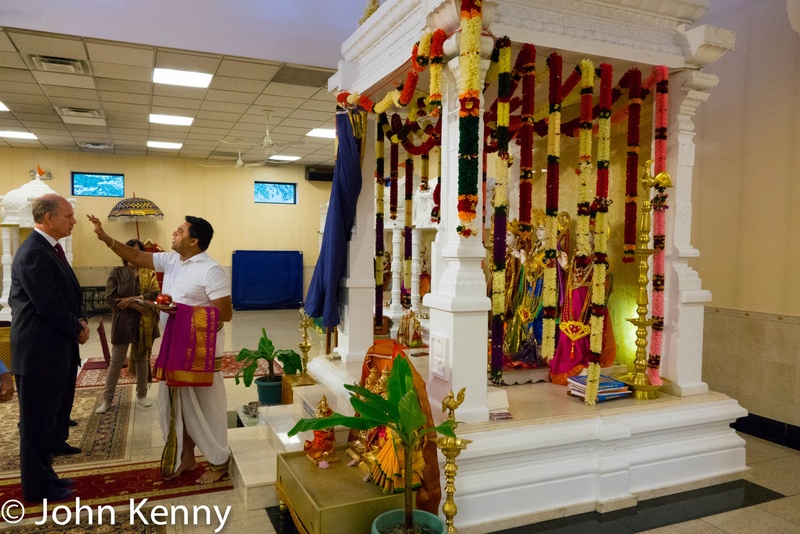 Donovan’s visit began in the upstairs temple area, as a Hindu priest chanted prayers and bestowed a blessing on Donovan. At the conclusion of the blessing, the priest and temple leaders wrapped a shawl around Donovan, in what they described as a sign of respect.